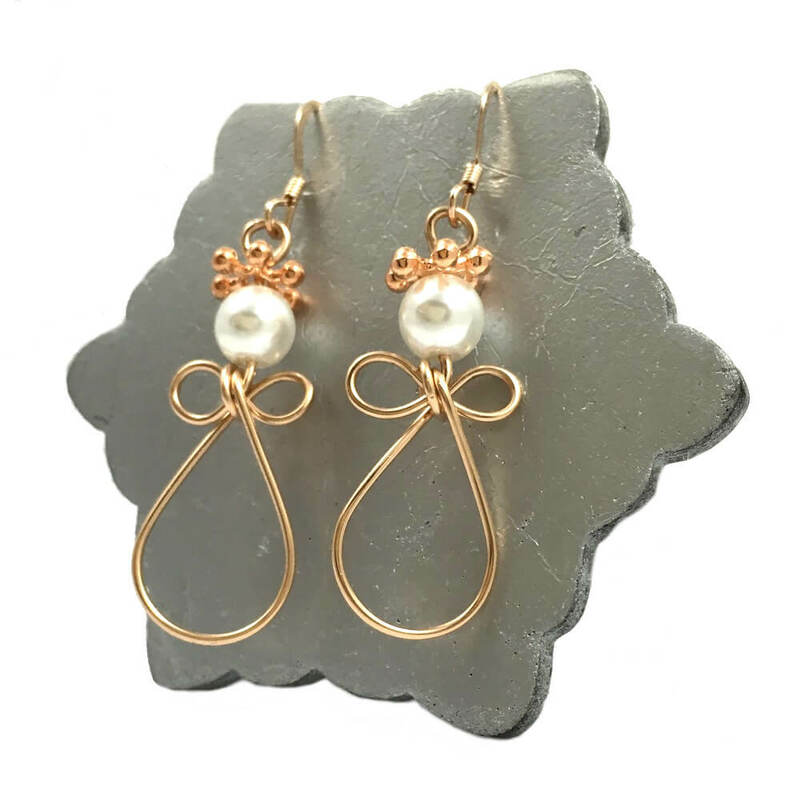 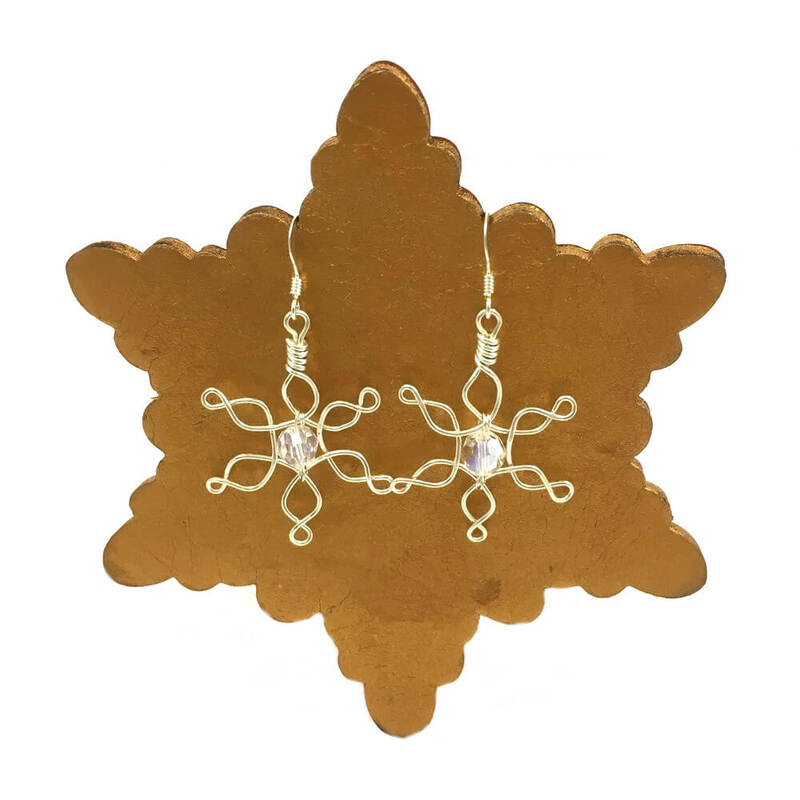 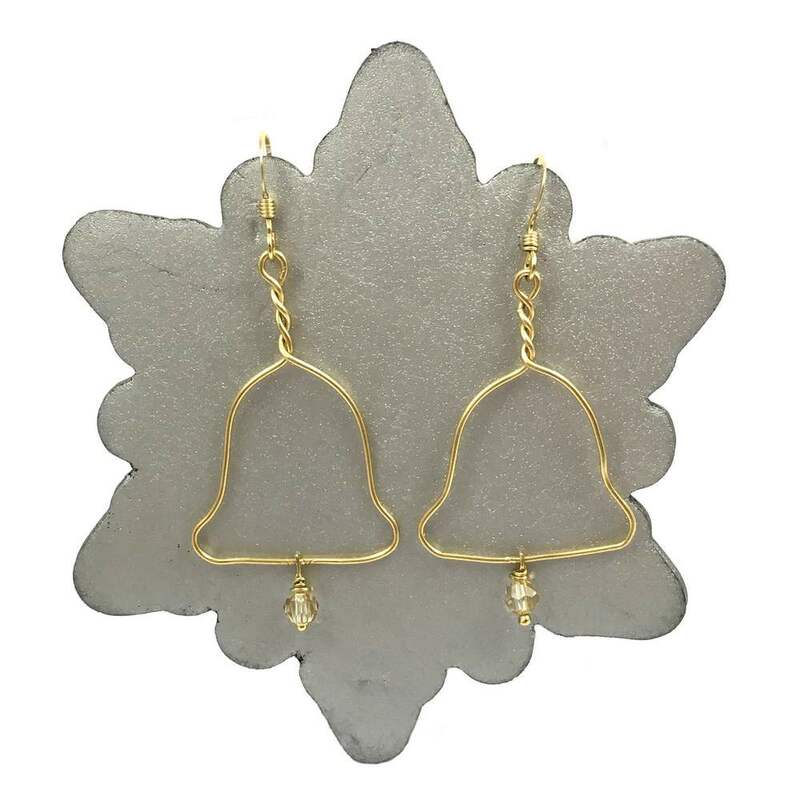 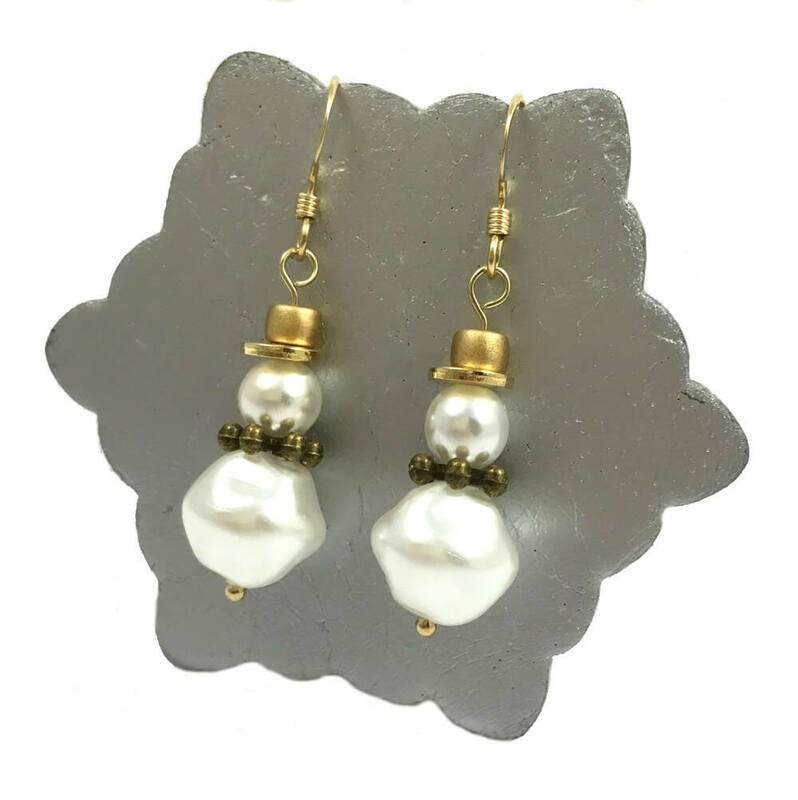 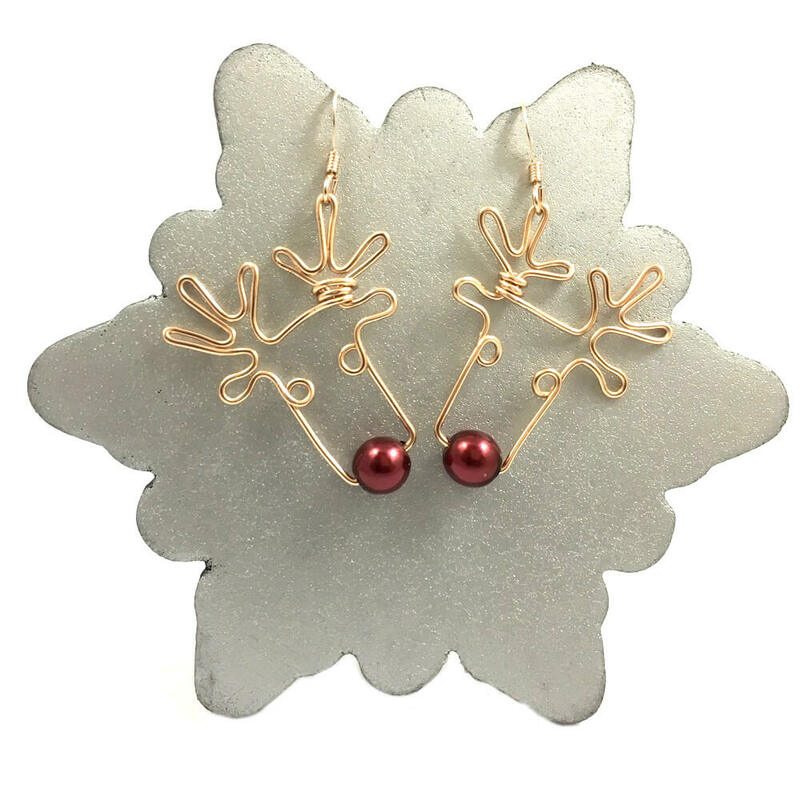 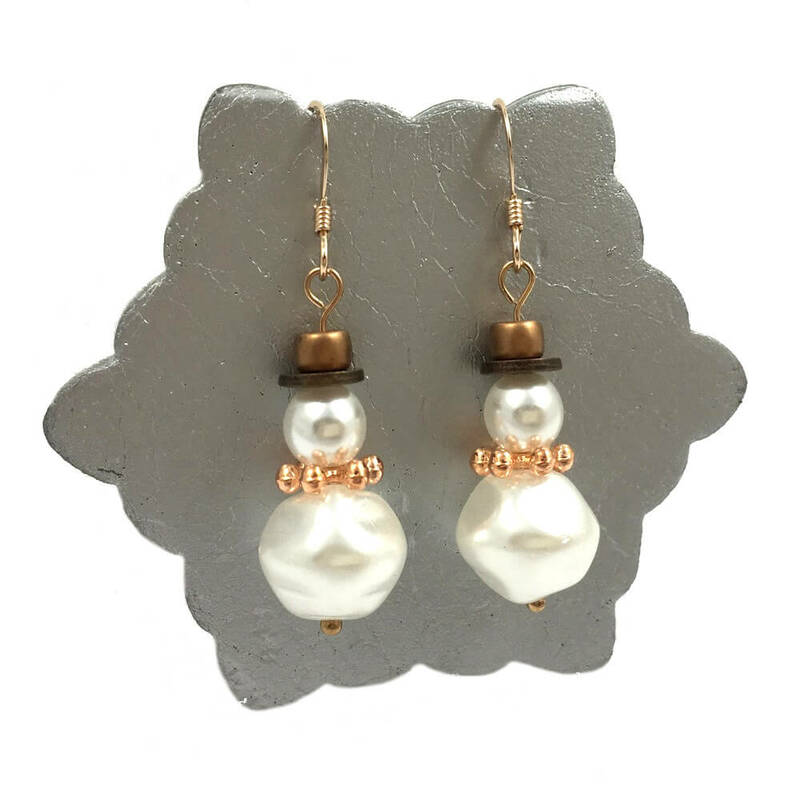 These beautiful Gold Snowflake Earrings are made by hand and each one is as unique as a snowflake. 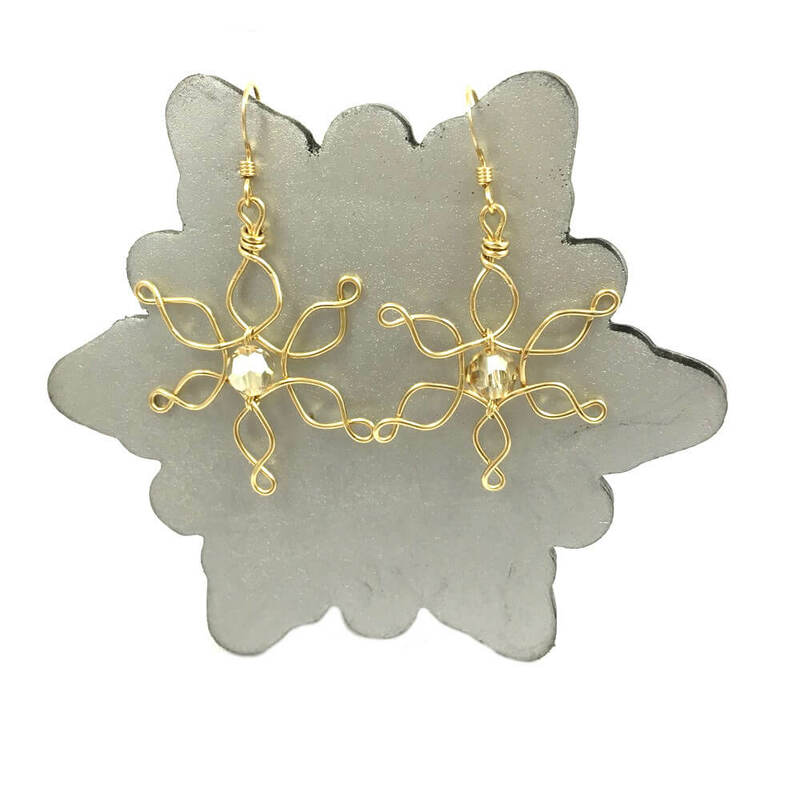 Golden flakes of snow with a sparkle at the centre, made from 14 carat gold-filled wire and fittings and with a Swarovski gem. 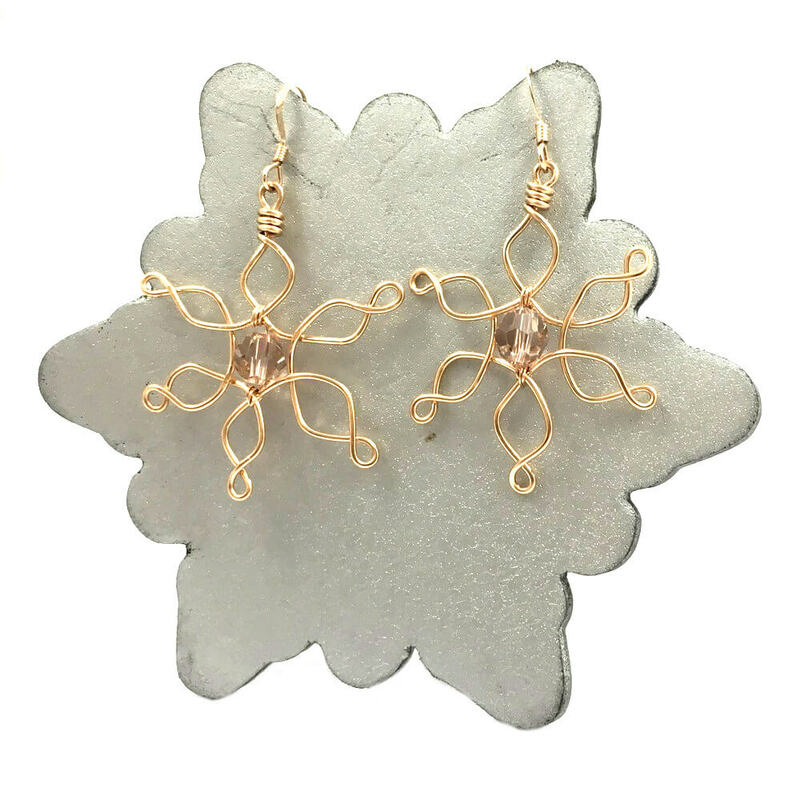 These beautiful Gold Snowflake Earrings are made by hand and each one is as unique as a snowflake.